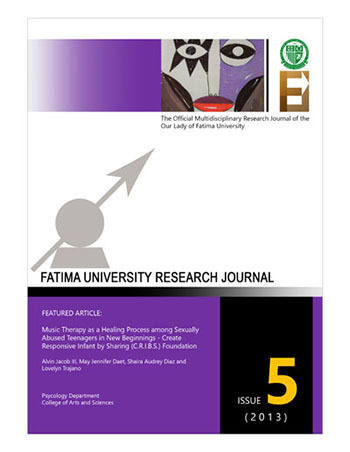 Fatima University Research Journal is the official multidisciplinary research journal of the Our Lady Of Fatima University. The ideas and opinions expressed in the contributed paper are of the author and do not necessarily reflect those of the internal and external editorial board, the Research Development and Innovation Center, and the university. The reader is, therefore, advised to check the full prescribing information.